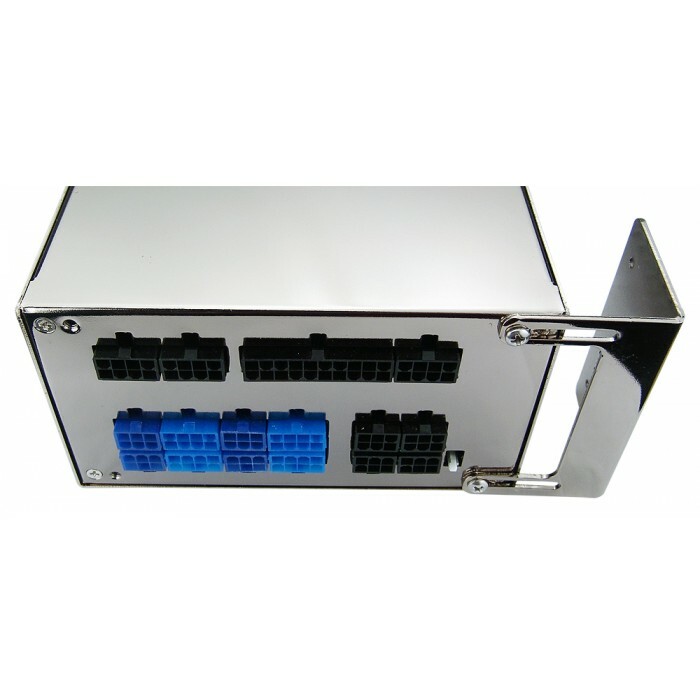 The PSU-1300ATX-12N is not a self-dissipating product and must be connected to an existing water cooling system via its external fitting sockets (G 1/4 BSPP threading). 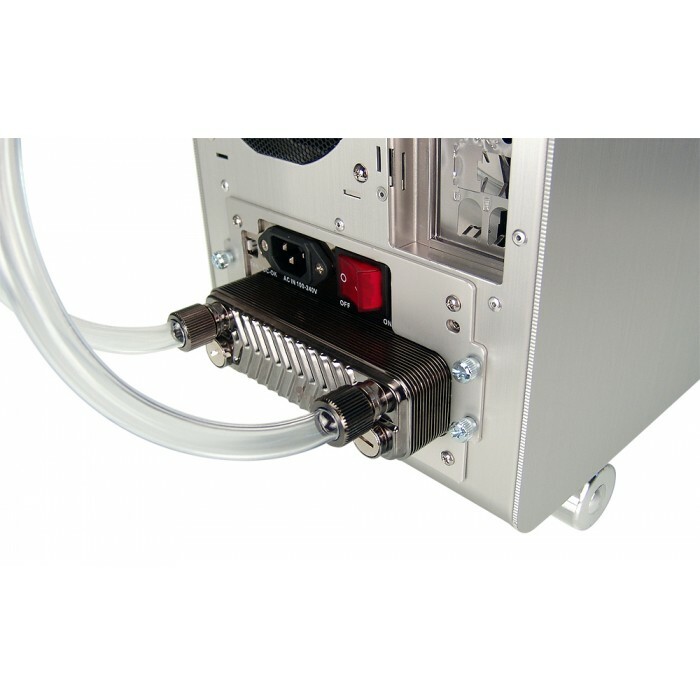 A PCI L-bracket "slot adapter" is provided for easy hose routing back into the chassis through an available card slot. This helps reduce the power supply's internal length. 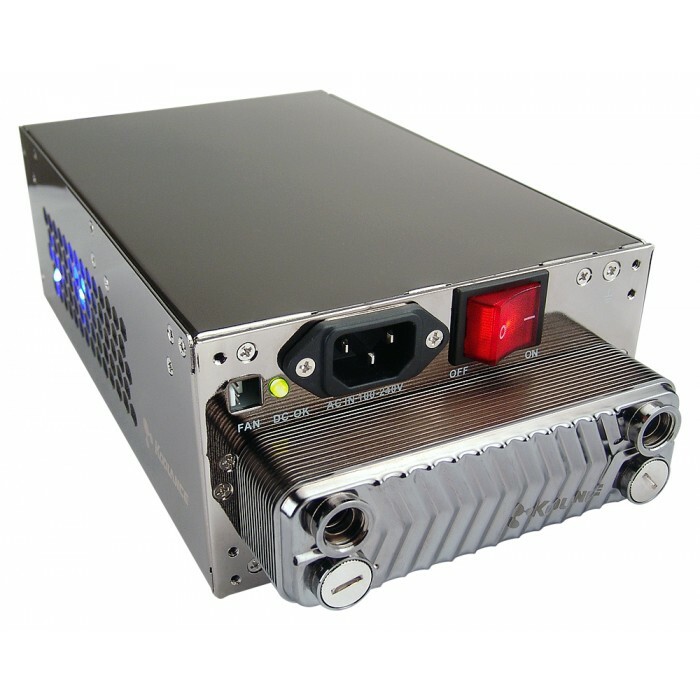 The PSU-1300ATX-12N is capable of producing some extreme wattages. 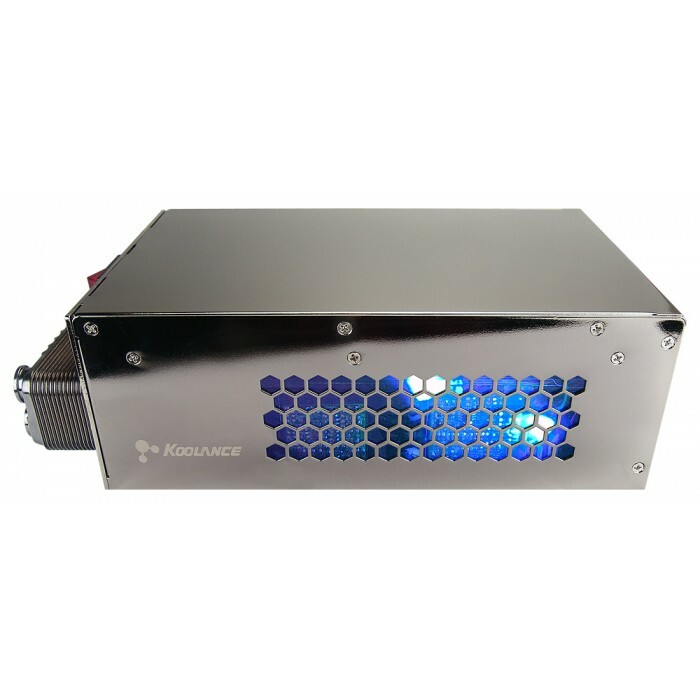 When used at maximum output capacity, Koolance recommends a water cooling system capable of dissipating at least 250W of heat while powered by 110VAC, or 300W for 220VAC. This is in addition to other water-cooled components. 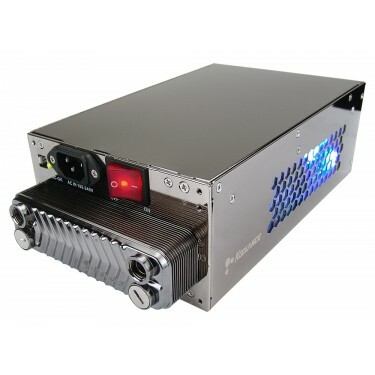 In other words, if your cooling system is designed around a 700W hardware heat load (CPU and dual video card water blocks, for example), the PSU-1300ATX-12N should be allotted an additional 250-300W of cooling capacity. If unavailable, it is also possible to dedicate a separate cooling system solely for the power supply, such as a Koolance Exos system. Power efficiency is rated at 83% (avg) to 85% (max) for 110V, and 86% (avg) to 87% (max) for 220V! *When 0.1uF and 47uF capacitors are added across the output terminal during ripple & noise test.